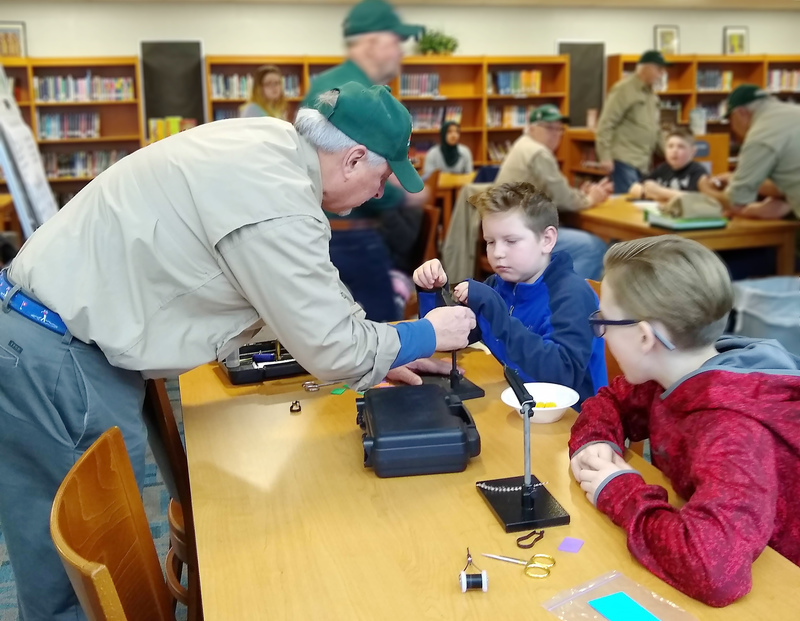 On Friday, March 15, the Fly Fishing International Volunteers visited the Depew Middle School Library to instruct the sixth-grade students how to tie a fly for fly fishing. 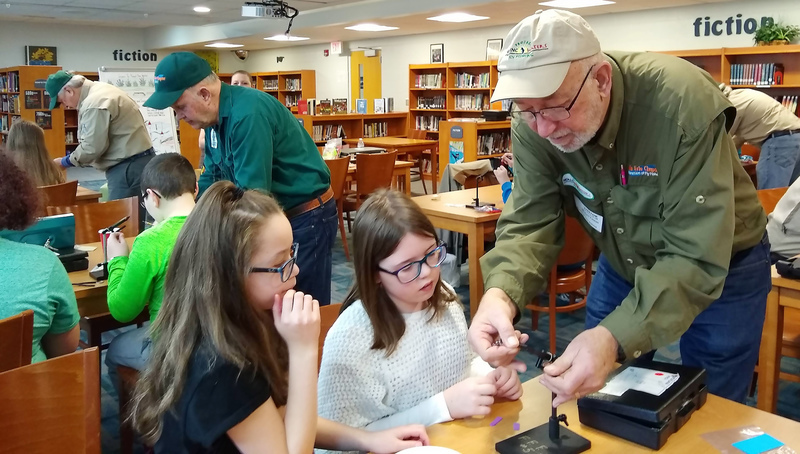 Each student was given a vise with all the supplies needed to complete a horsehair fly for catching bluegills. Fun was had by all! We anxiously await the return of the instructors on April 12th to instruct more middle school students.